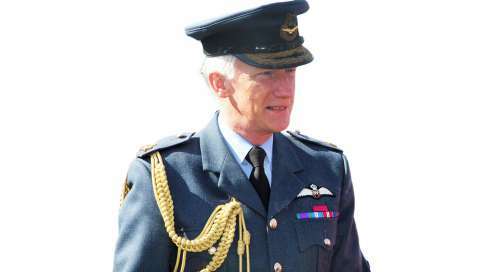 The Bailiff is very pleased to announce that Air Chief Marshal Sir Stephen Dalton GCB LLD(Hon) DSc(Hon) BSc FRAeS CCMI is to be appointed as Jersey’s next Lieutenant Governor and will assume office in early 2017. Sir Stephen was appointed to the position of Capability Manager for Information Superiority, with defence wide responsibility for the assessment, budgetary management and delivery of defences intelligence and communications capability and in April 2004 was appointed Controller Aircraft on the Air Force Board. He was chosen to be the strategic personnel director for the Royal Air Force in May 2007 and was appointed Chief of Air Staff in July 2009, a position from which he stood down after a highly demanding, extended and successful tour in July 2013. Sir Stephen is married to Anne and has two children. He lists his interests as including sports, theatre and history. He and Lady Dalton have been over to the Island on a number of occasions in the past, especially during the week of the Jersey International Air Display.